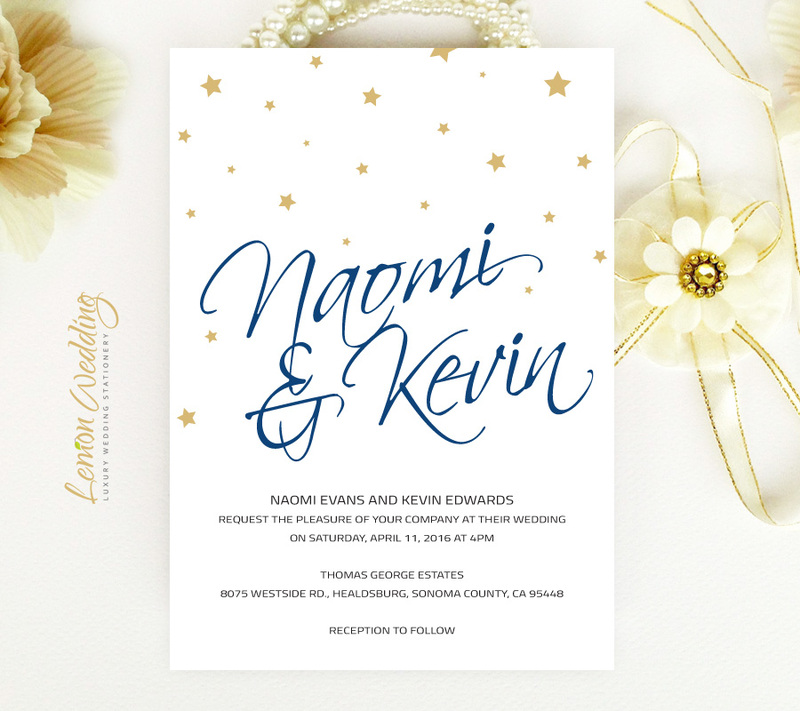 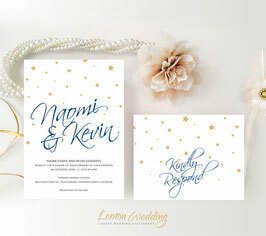 Your dream wedding should be revealed to friends and family with our Navy Blue and Gold Wedding Invitations. 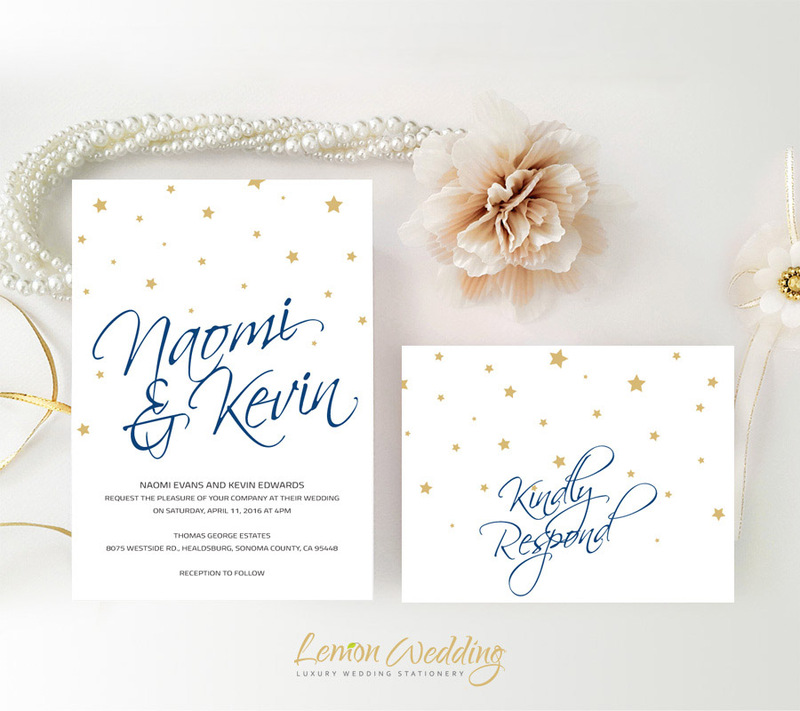 Glamorous with a classic twist, our stunning wedding invites will inform your guests with the important details surrounding your big day. 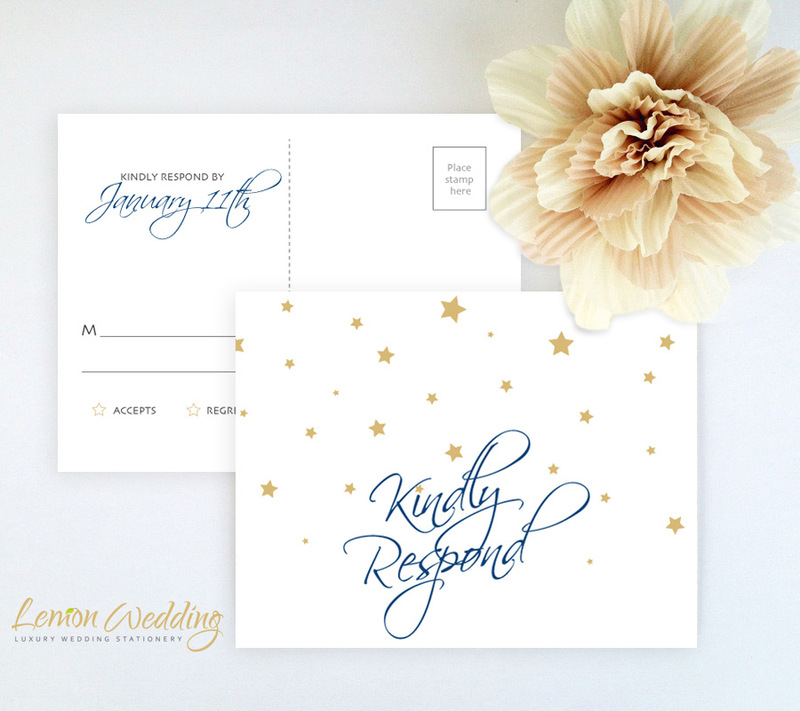 Printed on shimmering cardstock, our Navy and Gold Wedding invitation set includes R.S.V.P postcards and invites.